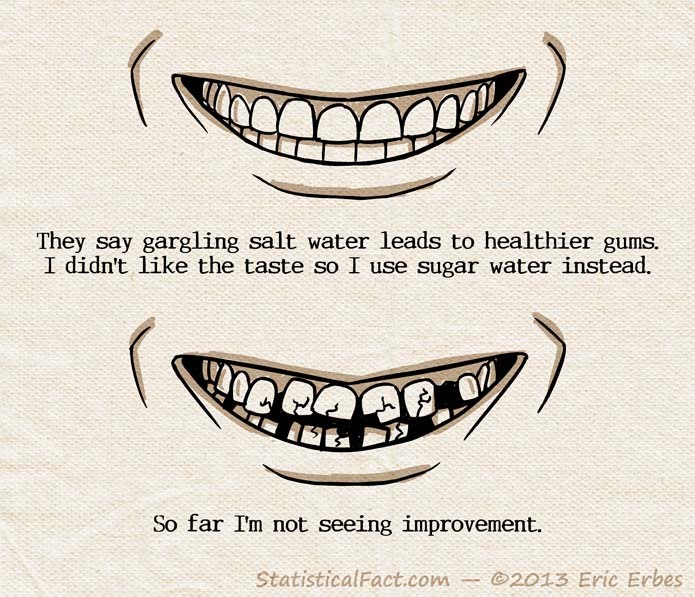 They say gargling salt water leads to healthier gums. I didn’t like the taste so I use sugar water instead. So far I’m not seeing improvement.